Mainline Health is pleased to introduce the people who help keep our Southeast Arkansas centers a vital part of your community. Oshondra Johnson, Patient Support Manager, graduated from the University of Arkansas of Technology with her professional certification in business. Oshondra is also Mainline's Outreach Enrollment Specialist. She has been employed with Mainline since 2011. Oshondra also has her license with the Arkansas Insurance Commission. 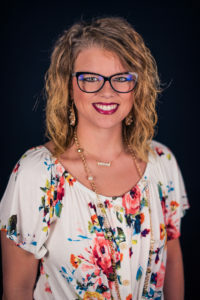 Tasha Robertson, Assistant Director of Nursing, graduated from the University of Arkansas for Medical Science in 2009 with her bachelor of science in nursing. She joined the Mainline team in 2013. Prior to joining Mainline, she worked at Jefferson Regional Medical Center in Pine Bluff, AR as an intensive care nurse. 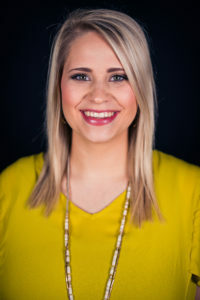 Brittany Sears, Marketing and Recruitment Manager, graduated from the University of Arkansas at Monticello with her bachelor's degree in communications. She joined Mainline in 2016. Prior to joining the Mainline team, she was employed in the healthcare field. Her background is in quality and public relations. When Brittany is not serving the patients of Mainline, she is spending time with her husband and son and serving at Rose Hill Freewill Baptist Church. 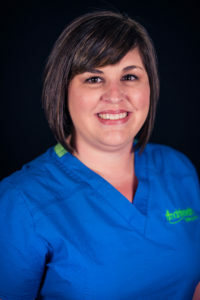 Jenny Gill, Assistant Director of Nursing, graduated from the University of Arkansas for Medical Science in 2013 with her bachelor of science in nursing. She joined the Mainline team in 2016. 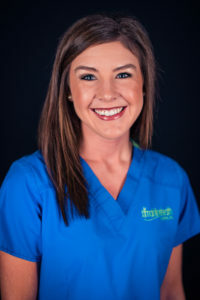 Patient Support Manager- North Lauren Reynolds, Patient Support Manager North, graduated from Star City High School in 2009 and attended Southeast Arkansas College from 2009-2012 in Pine Bluff, Arkansas. Lauren has been employed with Mainline Health Systems since 2014. In Lauren's spare time, she loves to spend time with her husband and their two dogs. Human Resources Specialist Nicole Jeffers joined Mainline in 2018. Prior to joining the Mainline team, she was employed in the healthcare field. Her background is in Management. When Nicole is not serving the patients of Mainline, she is spending time with family and friends. Clinical Quality Manager Katie Wilkerson, BSN, RN, and Clinical Quality Manager of Mainline Health Systems, Inc. graduated from the University of Arkansas at Monticello with her Bachelor of Science degree in nursing in 2017. She joined Mainline in 2018. Prior to coming to Mainline, she has worked in both the clinical and hospital settings, first as a LPN then a RN. She worked at Drew Memorial Hospital on the medical surgical floor and the ICU department in Monticello, AR and the McGehee Family Clinic in McGehee, AR. Manager of Lab and Radiology Services Julia Barnes, Manager of Lab and Radiology Services, attended the University of Louisiana Monroe, where she graduated with a bachelors degree in Clinical Laboratory Science. From 2008-2018 she worked as a Medical Technologist in a hospital laboratory. Julia is a native of Monticello and joined the Mainline team in 2018.